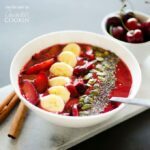 This Stone Fruit Smoothie Bowl is loaded with plums and cherries and is a flavorful, filling start to any morning. Whip it up in just minutes in the morning, or blend it the night before for an instant, healthy breakfast. I’ve been trying to be more conscious of cooking with what’s in season lately because it has so many advantages. By aiming to use what’s naturally in season in your area, you’ll get fresher fruits and veggies that are packed with loads more flavor and nutrition than if you opt for the produce that’s been forced to grow when it just doesn’t want to. And what’s in season in the summer? Stone fruits! So what are stone fruits? Well they’re any fruits that have a big seed in the middle like peaches, nectarines, cherries, mangoes and plums. They’re really versatile, and can be grilled up into savory dishes or sweetened for desserts. 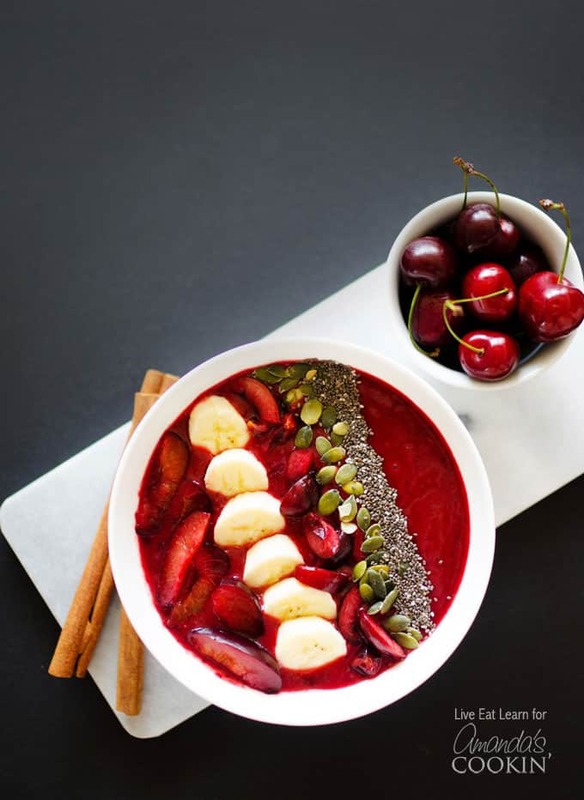 Today we’re going the sweet route by whipping up a smoothie bowl with cherries and plums. 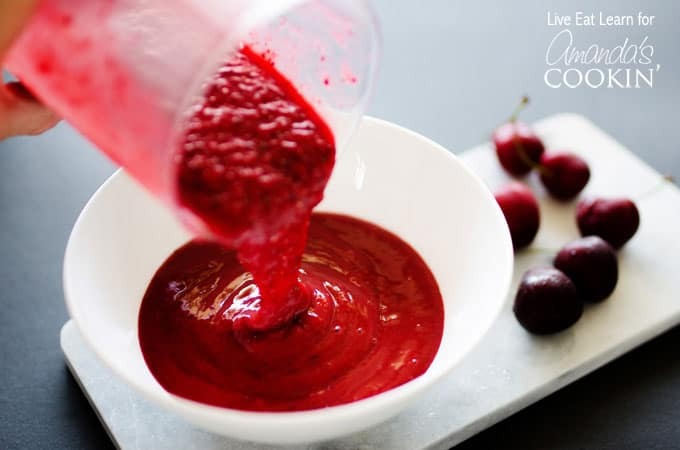 It’s got a gorgeous deep red color that, when topped with a colorful array of yums, is picture perfect! And also delicious, obviously. I make this bowl when I don’t necessarily want to spend a lot of time making breakfast, but still have time to sit and enjoy the morning (though you can easily make this into an on-the-go smoothie by adding a bit more apple juice). The combination of flavors in this Almond Orange Smoothie Bowl is positively sinful. Definitely add this to your breakfast list! If you are a mocha lover, then this Morning Mocha Smoothie Bowl is definitely for you! 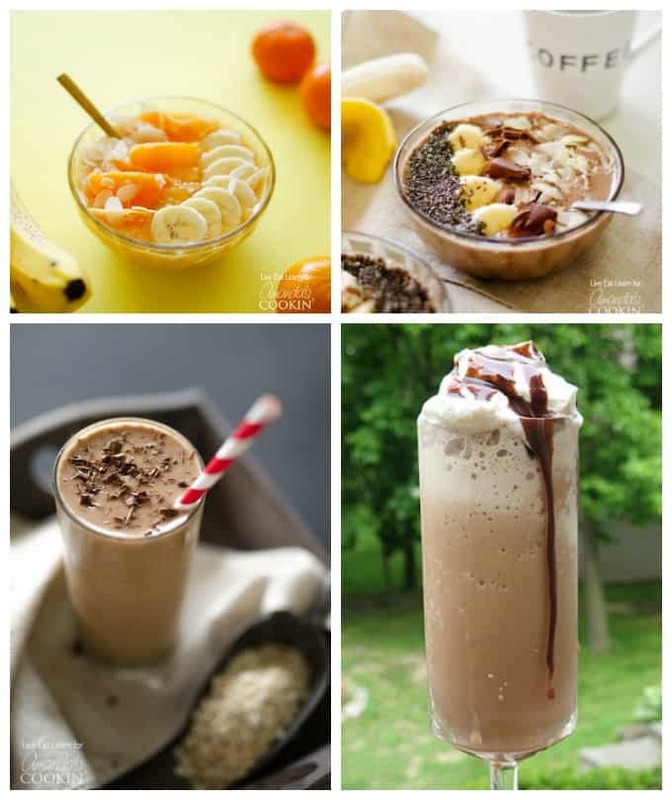 Again for the coffee lovers, if you must run out the door be sure to whip up this loaded coffee smoothie and take it with you. You’ll thank me! Starbucks fans will be so happy they can make their Mocha Frappuccinos at home now! Use fresh, in-season stone fruit, such as cherries and plums, to make this gorgeously delicious smoothie bowl for breakfast. Take it to go if you must! If desired stir in chia seeds for a thicker, more nutritious smoothie.